Horsham | Buyers - horsham car boot sale - Pick up a Bargain. THE EARLY BUYERS GETS THE BARGAIN! 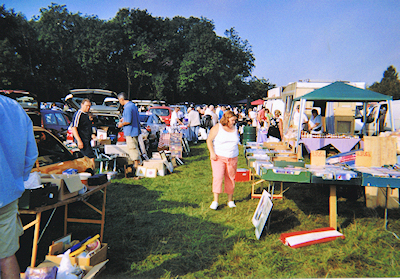 Speed is essential as many antique dealers trawl car boot sales early in the morning to stock their shops! But sometimes late sellers arrive when the dealers have left for breakfast and so miss late bargains! How much is the item worth TO YOU? It doesn't matter if 'Millers Guide to Antiques' doesn't list what you like as long as YOU like it! You never know what might be tomorrows antique. In certain countries there is no such thing as a price ticket. 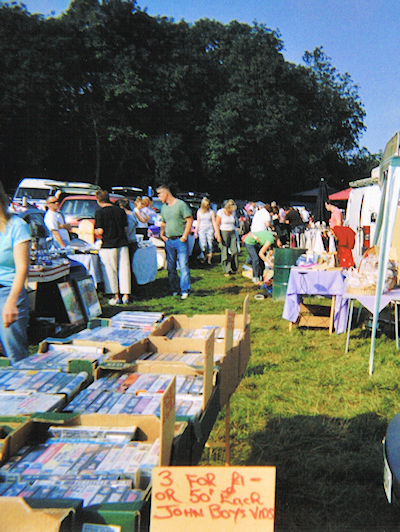 Customers are expected to haggle over the price - This is the norm at car boot sales. Practise at home! TAKE PLENTY OF LOOSE CHANGE! At the start of the day many stallholders are short of change, maybe they'll accept a lower price in exchange for badly needed change! It can be a fun morning with the added bonus of finding some real bargains. You'll find that folk are friendly and wander round chatting to each other. As we're in the beautiful Sussex countryside you'll find your visit to our sale very pleasant!